Developers have an idea about a new games, develop it, spend money and put in all hard work and release a new game, just to find out that there is a almost copy of the games out within weeks of the original game’s release. 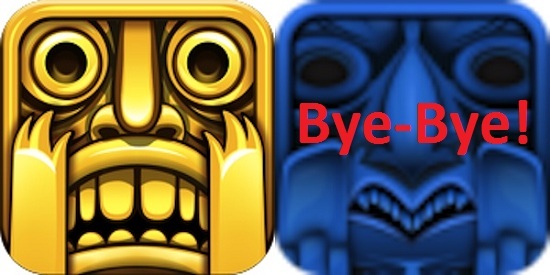 And to help all those hard-working developers, Apple has gone ahead and taken bold steps of removing such copycat games from its App Store. Addressing some copyright infringement issues which happened to be related to popular games over its App Store, Apple has removed games such as Plant vs. Zombie, Angry Ninja Birds and Temple Jump which were copy of popular games such as Plants vs. Zombies, Angry Birds, and Temple Run. All the copycat games which were removed by Apple were made by one person, Anton Sinelnikov, who had a total of 68 games such games on the App Store but is now left with just 9 games after Apple cleaned out the junk. In the past there have been many such issues but we have never seen Apple take up such a strict step of removing the app itself. But it is a very positive step for the real developers and also for the users. Though there is no scrutiny process for every app that arrives at the app store, Apple should follow a simple yet effective policy through which such apps are not allowed into the App Store from the time they arrive.